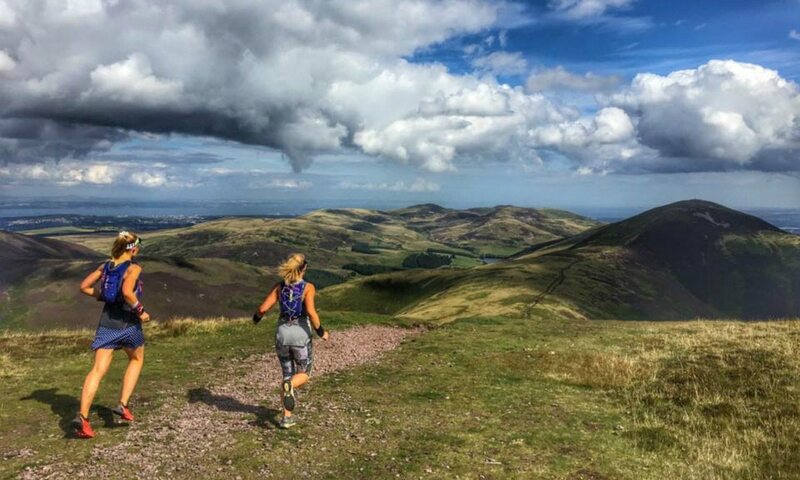 There’s no denying that ultra-distance running is one of the fastest-growing sports in the UK, with more than 15,000 athletes participating last year. Stand on the start line of an ultra, though, and it’s quite apparent that men outnumber women in terms of entries. And the longer the race, the bigger the difference. Although lagging behind in participation stats, women are no slouches when it comes to getting the job done or placing fairly high up in the ranks. There’s generally a lower proportion of DNFs in the women’s field and it’s not uncommon for women to win races outright. Due to physical differences, on a level playing field, women are less likely to win. After a certain distance, however, the gender gap starts to close. Usually women carry less weight and therefore inflict less stress on the body, have shorter legs and a higher cadence, making for efficient use of energy, and have a higher fat metabolism – all attributes which are advantageous during longer races. The biggest factor is that women are better at maintaining a consistent pace. Statistics prove women slow down much less in the second half, because they start at a pace they can sustain; women don’t have the bravado and inflated self-belief in their ability that men tend to have. DNF excuses such as cramping, injury, nutrition and dehydration are often down to poor race management. So, if women seem to have a more natural ability, what’s holding them back? Speak to any female ultra-runner and they will rave about the camaraderie of the sport – the inclusiveness, support and community spirit. Regardless of the size, shape, race, religion, wealth and gender, everybody is welcome. So that’s not it. It could simply boil down to not having the inclination to run silly distances. Or is it a lack of self-belief? The flipside is that women are more inclined to sign up for races that they have prepared and trained for, hence the higher finisher rate. Ultra-runners are generally of an age where family and careers take priority. Time – or lack of it – is a huge barrier in a sport that can be quite selfish. Plus, on average, women still tend to spend more time with childcare and household chores. Fitting in high-mileage weeks is no mean feat. There’s also still the stigma of women being away from their families for training or racing. I’ve lost count of the number of times I’ve been out running and been asked if my husband is “babysitting”. I doubt a man would be asked that. There’s the safety issue, too – especially if the only time to train is early morning or late evening or a race involves running through the night or navigation. Being alone in the dark or being left behind on a training run could put women off even trying. However, although races may lack in female quantity, the quality is there. Those who do participate have the drive, ability and, more importantly, the pace judgement to rank highly in the overall positions. The subject of whether women are better ultra runners than men is a controversial one. Surely the object of a race is to finish as fast as you can, not just finish. But more men in ultras are victims of being “chicked”, which suggests we’re moving towards a gender-neutral sport. It’s not a condescending or derogatory term, it’s empowering. Let the guys fly off at the start and we will reel them back in. The female of the species is in fact more deadly than the male.